“In terror, there is a kind of sublime, delightful pleasure,” a friend once told me, showing me Adrushan’s beautiful article in Masis. It is as if all of our senses suddenly awaken. There is something I don’t understand in that limitless, intoxicating feeling of panic, something that often only lasts for a moment, but whose memory continues to vibrate in our souls. We argued a bit. Yes, the most overwhelming, powerful, intoxicating feeling was terror; I could accept that. But I could not accept the idea that terror could bring about pleasure. And in order to explain what I was saying, I told my friend about something that had happened to me, about a memory from my student years that often comes to mind. It was the beginning of my second year in Paris. At that time, I lived on Boulevard Arago in a small room on the sixth floor overlooking a courtyard. The courtyard and the buildings surrounding it created a small square-shaped shaft as deep as a well. From six stories high, I couldn’t see the ground. That shaft was dotted with small windows from which the nauseating smell of poorly prepared food would waft out twice a day and constantly hang in the air. Above me, all I could see was a square-shaped sky, and that too was often covered by black, noxious smoke from the nearby factories or by a cheerless, muggy haze. When, once in a while, I would see the blue of the sky, my soul would fill with childish joy; in those moments, it seemed that all people needed to feel pure, unadulterated happiness was a bright, blue sky. Sometimes from the depths of the courtyard, through the stench of cooked meat and suspicious greasy particles that coated the four sides of the shaft, the voice of a singing vagabond would rise and take hold of the area. Whenever I heard him, I would put my work aside, go to the window, and dream. Oh, how I would dream. If the strangled, sobbing sound of a barrel organ would reach me, I don’t know why, but a strange sadness would pass through my soul, and I would feel a sentimental urge to cry in my dark, gloomy room. I felt hopeless and bitter, and I was entirely alone to bear it all and ruminate on my worries. In that sad, freezing room, I would look out the window at night and feel as though I was on the edge of a dark, gaping pit. In the house, workers and their families lived on the first five floors; the sixth floor, made up of small rooms, was entirely occupied by foreign students—sad, blonde girls who would wearily trudge up six flights of stairs. Yet on their pale, melancholy faces, the light of vigor and determination shone steadily and continually in their eyes. We would smile at one another and even say hello sometimes, but I didn’t have any kind of relationship with any one of them. At night, when they would all gather in one room, I would listen to the wistful, heartbroken cadences of their foreign songs, or to the weak, tender vibrations of the mandolin. And only during those hours did all of my strength, all of my unshakable ambition, all of my fanatical determination to persevere melt like a snowflake, and I would feel the chill of despair in my soul. Oh, that soft staccato of the mandolin. It is as if its debilitating vibrations will always stay with me, and remind me of my weaknesses and disappointments in my dreary room on Boulevard Arago. I’ve said that at the time I was in a hopeless, bitter state, so it’s easy to understand when I say that not one of my compatriots ever came to visit me. I would spend days, sometimes weeks, without uttering a single word in my language. (It was in that state that I lost my habit of thinking in Armenian). I had a few foreign acquaintances, but almost all of them were also students, and extremely busy with their exams. As a result, I lived a more isolated existence than ever before, and outside the time I spent working, I immersed myself in the writing of Edgar Allen Poe. For quite a while, I read a lot of Poe, and Baudelaire. Their books were the ones on my night table, and before going to sleep, I would slowly recite a sonnet from Les Fleurs du mal. It was as if these sonnets were an intoxicating, unsettling drink I would consume drop by drop. I’m saying all of this to more clearly express the emotional state I found myself in on the morning Miss Zavatska—one of my foreign friends—came to my room, pale and terrified. 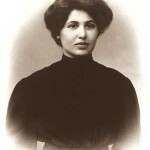 Miss Zavatska was a lovely young girl. She was a literature student like me whom I met in Deschanel’s class. Very blond and very dainty, Zavatska suffered from a malady of the chest. Her years were numbered and she knew it. What I didn’t understand—really couldn’t understand —was why she had decided to spend her fleeting youth in one of Paris’s poor, student neighborhoods. In other words, why was she enduring a life full of hardship and deprivation, when the depth of that life, containing a bitter, special kind of pleasure, would be entirely inaccessible to her shy, wistful, delicate soul? “I thought the exact same thing once it was light outside, and I heard that everyone in the house was awake. Thinking about the night before, I saw that there was nothing in the room to make it seem as if anything had happened. It’s even funny to tell people about something so vague. But fear had already been sown in my heart, and the following night it was hard for me to get to sleep. “I woke up as the Broca Hospital bell was ringing midnight, and I’m sure it was for no reason at all. But all my senses were in such a state of excitement that it was as if I was hearing a cacophony of noises and seeing bright, ever-changing shapes. Suddenly the same soft, dull sound of footsteps—I don’t know where they came from—approached my room. Yes, it was the exact same sound. There was no doubt about it. Soon I heard the same breathing—muffled and ominous. It was as if I was hanging off a cliff; I felt the same strange feeling that would often overwhelm me in my dreams. Instinctively, as a way to protect myself, I had lost the ability to sense the passing of time, but a couple of thuds jolted me back to reality. “ ‘Who is it,’ I shouted without thinking. “ ‘I don’t have any,’ I said abruptly in a dry tone. “And then I heard the sound of my lock, which he was turning in vain. I had drawn the bolt, but I was sure that ruffian, that criminal (who knows what he was) could somehow get the door open. Lying in bed, I was as cold as a corpse, and my limbs had cramped and stiffened. I wanted to get up, get dressed, open my window, and call for help, but I couldn’t do anything. All these ideas passed through my mind, ran through my mind, without having a single effect on me. “And I stayed like that for I don’t know how long. There were a few more attempts to open the door until finally the raspy breathing faded away, and the footsteps disappeared into the nearby courtyard. “In the morning, I went downstairs to complain to the doorman. “ ‘All of your neighbors are upstanding people. Something like that couldn’t have happened,’ he told me. Yet I explained what had happened in greater detail. It was the absolute truth. But the man shook his head stubbornly. “His wife came in, so I had to tell the story again. This time, they started to laugh as if what I was saying was funny. “And one by one, they listed my neighbors—decent people in their mind. I didn’t know any one of them. “ ‘Fine,’ I said to myself once I left the house and found myself out in the fresh air. ‘I seem to be ill.’ I was subjected to surprising nervous weaknesses, but my God, everything was so clear. I wanted to see my doctor and be treated for it, but I couldn’t find him. Last night, I reluctantly returned to my room, but luckily Miss S came and stayed with me until midnight. I didn’t tell her anything, but after she left, I drew the bolt and made sure it was secure. Then I drank a lot of rum to try to fall into a deep sleep. I fell asleep as soon as I lay down. “Again? 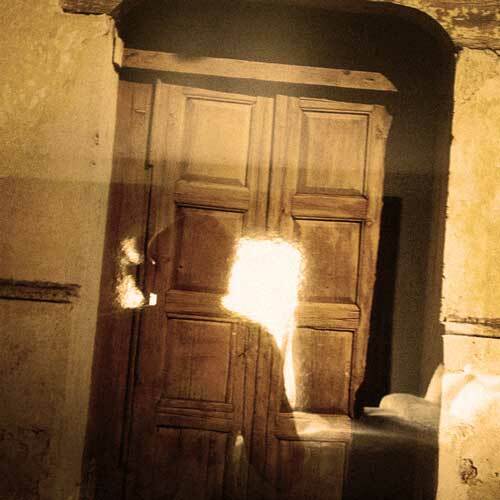 There was no question this time that there was a man outside my door, because I could see a very distinct strip of light in the narrow gap between the door and the doorframe. I knew it. Almost panting, the man worked to open the door. There was no way not to believe it. I heard the soft, careful sound of his tools, especially the gentle, rhythmic scraping of his file. And then,” Zavatska turned entirely white, “the door opened. It was still dark, but humid air from outside rushed into the room like a torrent, and the breathing drew closer —the raspy panting of a wild animal, carefully and softly tip-toing his way towards my bed. “In the morning, I found myself sprawled out on the floor. I had fainted and had been there for hours. My entire body hurt and my limbs were as stiff as a corpse’s. Once I remembered what had happened, I jumped up terrified. I don’t even know how I got myself dressed, but it was certainly hastily because my clothes and sheets were thrown everywhere. Zavatska, terribly distraught, started to cry like a little child. I thought for a moment. I could easily believe what the poor girl was saying. She had a look of genuine terror on her face, but there was something about her story that also inspired some doubt in my mind. After some hesitation, Zavatska accepted my offer. Naturally, it wasn’t my courage I was relying on to get through the night. I was convinced that Zavatska was having a nervous breakdown. Fear had never penetrated my soul until that point; I had never been subjected to a truly gripping, deadly kind of terror. And yet all day I thought about what had happened to Zavatska. If it was true, the idea was like a poisonous bite that shook me to my core many times over. In the evening, we had dinner together, and after going for a walk, we came back to her room. By the time the water for tea had started to boil on the alcohol burner, we seemed to have forgotten everything, and started telling each other about memories from back home—sweet, fragrant memories. Mine were bright and shone golden in the sun, and hers were calm and tender like a melody. We were so far from home and so foreign to each other, yet we felt so close in that moment, almost like sisters. There was so much shared affection in our words, and in our gestures. Poor Zavatska, do you remember the night the doctor’s prediction came true? When nothing, nothing more, remained of your dainty, blonde head, or your clear, bright eyes? When it came time to go to bed, we had completely forgotten about the nightmare that Zavatska called The Man in a special tone of voice, and we even started making jokes about it. Later, to get me to go to sleep, Zavatska made me drink a half a bottle of rum almost by force. She drank the rest. This time I was right. The room was filled with cigar smoke, and after I drank the half-bottle of rum in one gulp, I felt like everything was spinning in a bright circle dance around me. A deep, heavy sleep pulled my eyelids shut. I awoke suddenly, and sat up in my bed. “What is it?” I would have said had my tongue not felt so thick in my mouth. And instead I fell silently back onto my pillow. Zavatska was sleeping soundly. Why did I wake up? What was wrong, I thought to myself. The room was pitch black. Having opened my eyes like a blind person, I had scanned the entire room in vain before noticing a long, bright strip of light near the door. First it was flickering, but it became steady, and I could hear the scraping of the file—soft, but determined—on the iron lock. Suddenly the idea that what Zavatska had told me was true filled me with such a strange, vague sense of unease that I felt as if I was being set aflame one minute, and the next I felt a cold sweat creeping up my spine and making me shudder. Back in reality, the city was silent. It almost seemed deserted. Only the sound of wagons rumbling sinisterly in the distance could be heard from time to time. And at our door The Man—this time real and ominous—was grinding his file on the iron lock. Zavatska—feeling safer with me in the room—was still sleeping, and I didn’t dare try to wake her up, or to have her share in the terror that was gradually growing in me and making me insane. Slowly the door started to creak. Yes, that couldn’t be denied. And The Man’s low, raspy breathing was now synchronized with the sound of the grinding metal. Then the file stopped. I stared at the door, my eyes wide open. The strip of light flickered, and then vanished. At that moment, I can’t even express the utter terror I felt. It was a kind of terror that seemed to freeze the blood in my veins. And at that moment, the door opened. In the darkness of the room, an even darker silhouette appeared and slowly came towards me. A gust of freezing, humid air rushed in through the half-open door and froze the sweat on my forehead. As still as a corpse, I stared at the black silhouette, which was silently inching closer. I wouldn’t have thought this shapeless blob was human, if not for the wheezing, shallow sound of his breath, whose warmth I could practically feel on my frozen face. It was as if those were my final moments alive; I felt that the terror I was experiencing in that instant was about to kill me. If it had not been for the beating of my heart, which was pounding so hard in my terrified body, I would have thought that everything had ended for me. The Man came even closer, and as the minutes passed, I opened my eyes wider in fear until I realized that, in my attempt to see everything, my eyes were shimmering in the light, and that The Man could see them. I shut my eyes, and beneath my tepid eyelids, I sensed that my pupils also were frozen. I don’t remember how many seconds, or hours, all of it lasted, but when I opened my eyes again, a sad, pale sunrise had given everything a hazy, gray hue. And The Man wasn’t in the room. Zavatska was still sleeping. A little while later, I heard reassuring footsteps on the stairs. I wanted to get up, but I couldn’t. And I put my exhausted head back on my pillow. When Zavatska woke up, she wanted to joke around again. I caught a glimpse of myself in a shard of a mirror, and I was as white as a ghost. My teeth were chattering, and under my eyes were big, black circles. After that, Zavatska had to stay in the hospital for a few months for her nervous breakdowns and frequent delusions. The Man had appeared repeatedly during these breakdowns. I also suffered for a long time, and the truth is that even now I don’t know if The Man was real or if I had simply found myself inside of one of Zavatska’s nightmares. Translation by Jennifer Manoukian. Published in Masis, No. 5, March 26, 1905, pp. 68-73. Adrushan is the pen name of Simeon Yeremian (1871-1936), a writer and critic of nineteenth and twentieth-century Armenian literature best known for his 10-volume study National Figures:Armenian Writers (in Armenian). Masis was an Armenian newspaper and literary journal based in Constantinople. Charles Baudelaire (1821-1867), a French poet best known for his Les Fleurs du mal (Flowers of Evil), was also the first to translate the work of Edgar Allan Poe into French. It was through Baudelaire’s French translations that Yessayan became acquainted with Poe’s work. Born in 1878, Yessayan emerged into the tumultuous, multiethnic world of late 19th century Constantinople at a time when Sultan Abdul Hamid unleashed his fury on both Christian minorities and the progressive elements of Ottoman society. One of the first women from the Ottoman Empire to study overseas, she traveled to Paris at the age of 17 to study at the Sorbonne. She wrote her first novel, The Waiting Room about an emigre North African Jewish woman. Set in Paris, The Waiting Room explores themes that would become central to her work: exile, alienation, and the "Other". Her influential voice brought her to the attention of the Armenian religious leadership of Constantinople who asked her to join a delegation to provide relief for the victims of the 1909 massacres of Adana. 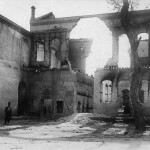 Upon her return from Adana, she wrote her most powerful appeal for human rights, In the Ruins. 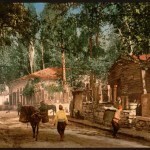 Her experience in Adana and the uprising in the Balkans shaped her views of war, and in 1912-1913 she wrote Enough! which decried the horror of war on the innocent of both sides. She was the only woman on the list of 250 intellectuals in Constantinople (Istanbul) who were targeted for murder at the early stages of the Armenian Genocide. Yessayan eluded arrest and went into hiding until she escaped to Bulgaria using a false identity. For the next five years, she travelled and recorded eyewitness testimony from survivors of the Armenian Genocide. She eventually settled in Soviet Armenia in 1933 where she taught literature at the University and continued to write. Her support of fellow Armenian writers caught the attention of Stalin's henchmen. The target of yet another empire, she was exiled and imprisoned in 1937 and died in unknown circumstances, most likely in 1943. Read more about the Zabel Yessayan project, which has been translating her work into English, and has allowed Pangyrus to republish the pieces you see here. Born in 1878, Yessayan emerged into the tumultuous, multiethnic world of late 19th century Constantinople at a time when Sultan Abdul Hamid unleashed his fury on both Christian minorities and the progressive elements of Ottoman society. One of the first women from the Ottoman Empire to study overseas, she traveled to Paris at the age of 17 to study at the Sorbonne. She wrote her first novel, The Waiting Room about an emigre North African Jewish woman. Set in Paris, The Waiting Room explores themes that would become central to her work: exile, alienation, and the "Other". Her influential voice brought her to the attention of the Armenian religious leadership of Constantinople who asked her to join a delegation to provide relief for the victims of the 1909 massacres of Adana. Upon her return from Adana, she wrote her most powerful appeal for human rights, In the Ruins. Her experience in Adana and the uprising in the Balkans shaped her views of war, and in 1912-1913 she wrote Enough! which decried the horror of war on the innocent of both sides. She was the only woman on the list of 250 intellectuals in Constantinople (Istanbul) who were targeted for murder at the early stages of the Armenian Genocide. Yessayan eluded arrest and went into hiding until she escaped to Bulgaria using a false identity. For the next five years, she travelled and recorded eyewitness testimony from survivors of the Armenian Genocide. She eventually settled in Soviet Armenia in 1933 where she taught literature at the University and continued to write. Her support of fellow Armenian writers caught the attention of Stalin's henchmen. The target of yet another empire, she was exiled and imprisoned in 1937 and died in unknown circumstances, most likely in 1943. Yessayan crossed ethnic and religious boundaries and fought for human rights while the world collapsed around her. When in 1912, Yessayan saw refugees from the Balkans in Istanbul, she wrote, "They have been ousted from their own lands and turned into refugees….What have we got in common? What makes us similar? When I see the expression of intense fear in their faces my own pain, which had begun to recede, flames up again.” Read more about the Zabel Yessayan project, which has been translating her work into English, and has allowed Pangyrus to republish the pieces you see here.